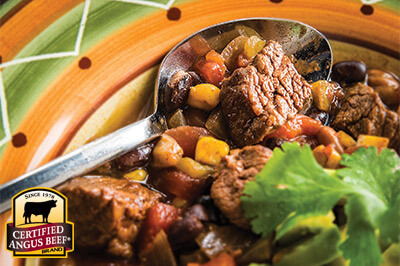 Southwestern Beef and Bean Stew is deeply flavored with spices and chiles. 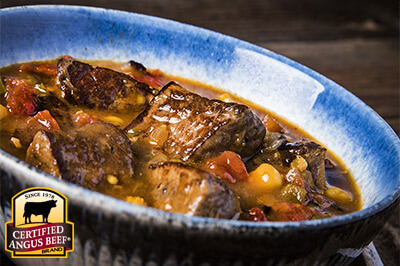 Make this crowd-pleasing easy recipe for a hearty, soul-warming meal on a cold day. Season roast cubes with salt and pepper. Heat oil in a heavy bottom pot over medium high heat. 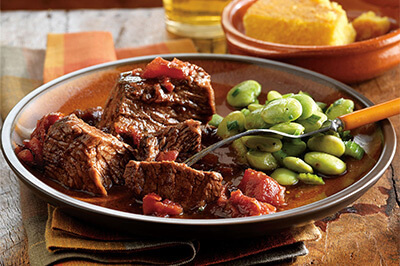 Sear cubes in two or three batches to brown at least two sides; remove cubes from pan. Add onion, garlic, cumin and ancho pepper; stir to clean browned beef bits from bottom of pan, about 5 minutes. Add tomatoes and green chilies. 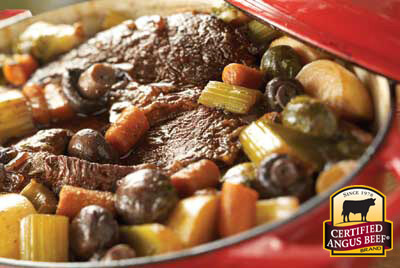 Bring to a boil, reduce heat, cover and simmer 10 minutes. Add beans, corn and browned cubes to the pot. Simmer on very low an additional 30 minutes. Ladle into bowls, garnish and serve.